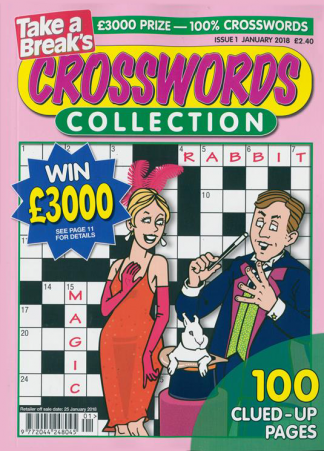 There are over 100 crosswords crammed into this great value magazine. Straight, cryptic and quizzer style crosswords all feature, as do anagram, missing link and misprint style clues. Plus every crossword is compact and quick-to-solve, making Quick-X-words a very rewarding puzzle experience. Fabulous publication. Enjoy very much. always challenging and we look forward to the arrival of Quick-X-Words every month. Wouldn&apos;t be without it!! !